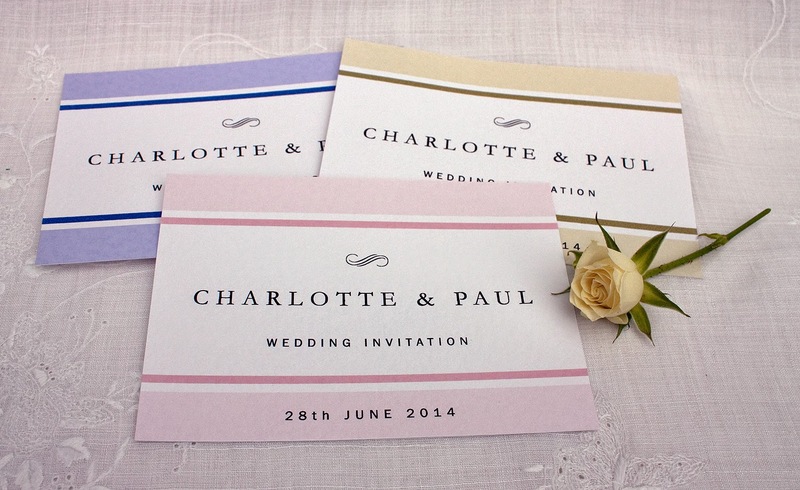 The Charlotte invitation, is a simple but classically elegant design. The text and calligraphic swirl is given plenty of space and bordered top and bottom with two tones of a contrasting colour. This colour can be matched to the chosen wedding theme. The reverse side of the invitation will have all the other details a guest requires, regarding the venues and times etc. Copyright © 2014 Design and Elegance blog. All rights reserved. Please do not use any content from this blog without permission or without noting the source of the material on your blog or web site, thank you.